Electrical panel changes are often required when a new tenant moves their business into an existing building. All businesses operate slightly differently, even those in similar lines of work. Electrical needs vary almost as much as the business itself. As the design and layout changes, panel changes are often needed to accommodate additions. Spikes in your power supply create dangerous situations for your business. Circuit breakers and fuses protect against power spikes which can destroy your appliances, computers, or even start a fire. You can replace breakers and fuses on your own, but it is very risky. Please keep in mind that working with electricity is dangerous, and electrocution accidents often have fatal consequences, especially during panel changes. 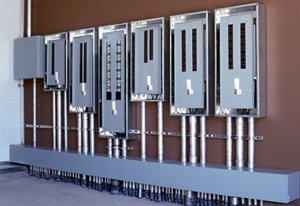 Fuse boxes are, in most areas, considered antiquated and are often replaced by more reliable circuit breakers. Blown fuses must always be replaced, which creates a potentially dangerous situation in the dark. This also means you must have the correct type of fuse on hand at all times, which is often very inconvenient. 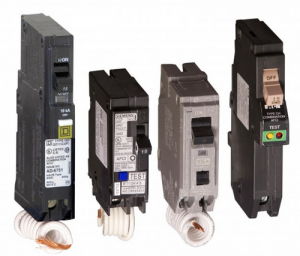 Circuit breakers don’t have to be replaced; they simply need to be reset after they trip. There is usually no question as to which circuit breaker needs to be reset because they have a very easy-to-see on or off location. They are more expensive to install and repair, but are generally the more reliable and most popular choice. You may need to change the entire electrical panel if things aren’t working properly. Some indications of panel changes may include flickering lights, frequently tripped breakers, or the need to replace fuses in your old electrical panel. These are signs of inadequate power flow, and they must be addressed as soon as possible. All major electrical issues must be addressed during a time when the power can be turned off for several hours. Business hours are not the time to do major structural or electrical work. Panel changes often take around eight hours to complete. The power must be off for at least four hours while the change is being made.